In this post, we’ll take a look at some of the most common reasons that CE admins and coordinators experience CME support ticket overload. We’ll offer you some tips to reduce support calls if you’re attempting to maintain an LMS helpdesk on your own, and then show you one way to avoid the problem altogether. Regardless of the type of CME program that you manage, the principles for avoiding support ticket overload are the same as the guidelines governing good LMS design. That means a focus on ease-of-use, a streamlined self-service structure, and content delivery methods which can be adapted when necessary to the changing needs of your users. Every component of your LMS should function in a way that enables it to provide an optimal user experience at every touchpoint. Now, let’s take a look at some key reasons that support ticket volume can become overwhelming for your staff. When a member has finally chosen one of your CME offerings, the last thing that you want them to experience is a complicated enrollment process. Not only does it immediately damage their initially positive perception of your CME program (“why did they make this so hard?”), but it also means that you’re making a support call highly likely (if your members haven’t already abandoned your platform). If you aren’t using an LMS platform that was explicitly designed to limit friction during activities enrollment, you’ll have to undertake the design optimization process on your own. When your learners meet a low-complexity challenge when using your LMS, you want them to be able to easily answer their own questions, keeping their frustration to a minimum. If your LMS has an unwieldy self-service option—comprehensive but hard to search—then you’re inviting another tech support call. A user having a problem learning how to look for a solution to fix a problem won’t have the patience, once the right FAQ is found, to read through it. Your members will inevitably make a mistake when selecting, paying for, or completing an activity. Your CME support staff shouldn’t have to intervene each time to walk your members through a simple fix. If your LMS doesn’t have a built-in solution for user error, then you’re looking at a long list of CME support tickets that will grow just as swiftly as your CME enrollment does. Now, let’s review a few tips for preventing CME support ticket overload. Create activity descriptions that are comprehensive, yet brief and clear of jargon. The relevance of each activity to ACCME standards fulfillment should always be made clear in your descriptions. Make activity selection simple and the transition to the ordering process seamless. Users should be able to select an activity and begin payment with a few clicks. Learners should find it easy to use your menu to locate activities of interest from any page, without having to hit a back button to find an option that caught their eye a few seconds ago. Your on-page help tabs should offer a brief solution to low-complexity issues and provide a link to an FAQ for members needing more detailed explanations. Succinct answers to complex questions should be answered in a FAQ that uses icon-based illustrations whenever possible, to emphasize the solutions explained in the text. When users are able to visualize the steps to solving their problem, it decreases their need to call your support line in order to be walked through a troubleshooting process. Basic questions about LMS platform usage should be answered during initial enrollment. Learners shouldn’t have to spend time searching for simple on-boarding information. Input errors should be easily fixed by the consumer without their having to leave the page. Minor learner mistakes during an activity should be simple to correct, and shouldn’t be so time-consuming that it significantly interrupts the learning process. An FAQ regarding common user errors should be easily accessible upon login. Your medical association should be able to devote most of its resources to developing superior programming and providing the services that your members need. Avoidable support calls are a waste of time and human resources—something your association can’t afford if it wants to remain a competitive CME provider. Member support calls will always be necessary, but their volume can be controlled by following web and instructional design best practices. Developing a stellar user experience while making sure that support calls are kept to a minimum is a challenge. The balance between customer service and efficient resource management is a delicate one. 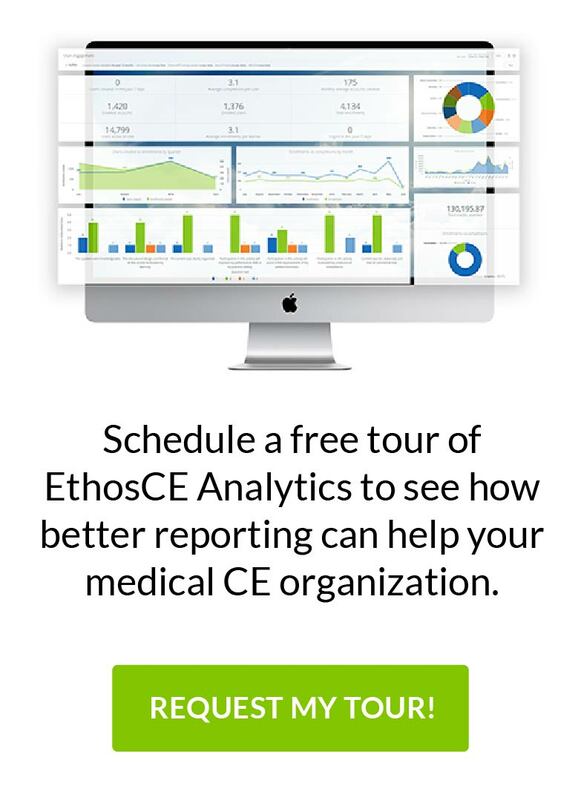 EthosCE offers an all-in-one LMS that provides support ticket management, a user-centric instructional design, and a variety of LMS concierge services designed to help you streamline CME operations. We’ve worked with organizations of every size to help them focus on what matters most. Connect with us to find out how we can help your association meet and exceed your customer service goals.